Over the last couple of years, I have written a series of blogs about a couple of mysterious notebooks found in the KV 2/27 file on Josef Jakobs at the National Archives. 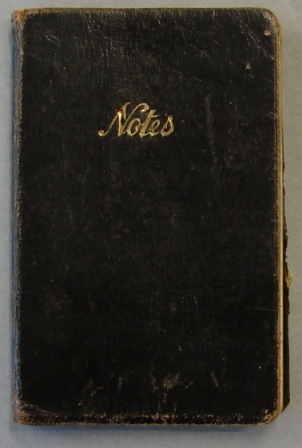 The two notebooks, one blue and the other black, belonged to a lad named Kenneth Clifford Howard. Given that there was not a whisper of these notebooks in any of the interrogation files on Josef, I had long thought that they belonged in one of the other spy files. The fact that one of the notebooks mentioned Karl Theodore Druecke, a spy who arrived in the UK in late September 1940, I thought that his file was the most likely candidate. As it turns out, with the help of a blog reader, Druecke's KV 2/1701 file does have notes on Kenneth C. Howard and his notebooks. Mystery solved. Those two notebooks that currently reside in Josef's file belong in the Druecke file. But... there is another mystery that has turned up. During Josef's court martial, he indicates that he could help the English by identifying spies currently working in the United Kingdom. As proof, he refers to a notebook in which are written the times and dates on which Josef could theoretically rendezvous with another spy at one of three locations. Josef stated that if he ran out of money, he was told that this person(s) could give him money. A. They told me when I needed money the three points where I could join men and they will give me money when I have given noticed I needed it. There was the 2nd or 16th of any month. Later, during his summation, the defence attorney makes it quite clear that there actually was a physical notebook (not just a document) in the court room with those times, dates and locations apparently written in it. The file also notes that Josef had not seen this notebook since he had been captured. 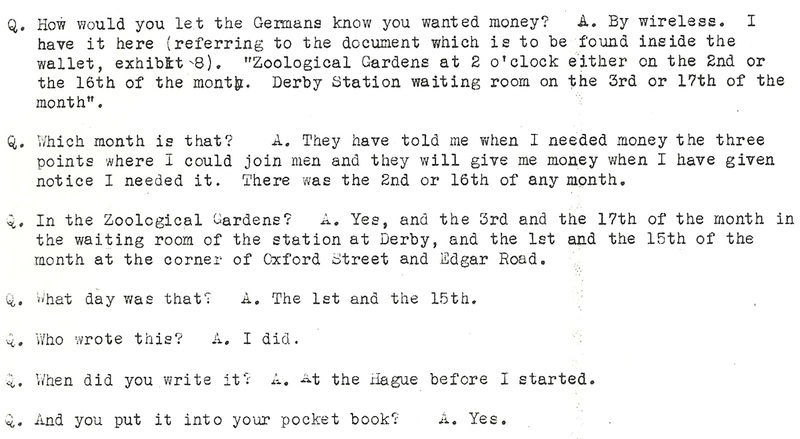 "Jakobs has described how he would meet those people [others working in league with the Germans] here. I do not know whether anybody had seen it before, but when the pocket book [a wallet according to the list of Exhibits] was produced and looked at I noticed the President of the Court pulled a note-book out. I was interested at once. It was shown to the accused. You saw the interesting facts that arose from that. The accused has not had that thing since it was taken from him on arrival here. He says that before he left the Hague he wrote in his own handwriting assignations, places and dates for meeting people in this country and he says those people would have given him money because he has to live here." 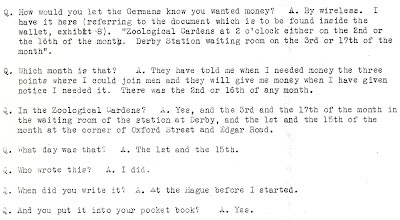 Contents of the Notebook - What was actually written in the notebook and were the three locales (Zoological Gardens, Derby Station, Oxford Street and Edgar Road) actually in London? Candidates for Assignations - Who might have shown up at those dates/times/locations to rendezvous with Josef? We'll explore the answers in the next blog(s).